If you’re pleased with the new iOS 7 redesign, you’ll like how some third-party developers have used the latest iOS upgrade to not only given their apps a modern makeovers, but have also included useful new features coupled with smoother controls and enhancements. Our recently released guide for iOS 7 will bring you up to speed on the shiny new things to check out Upgraded to iOS 7? 5 Shiny New Things To Check Out Right Away Upgraded to iOS 7? 5 Shiny New Things To Check Out Right Away iOS 7's changes might not be as revolutionary as some might have hoped, but the free upgrade still offers a good number of shiny new things to check out once you've installed it. Read More , so today I will share ten of my favorite apps and their new redesigns and features. I’m sure you have your own favorites as well, so let us know about them in the comments section of this article. For me, the Collections feature is the most welcomed update in Amazon’s Kindle How To Use The Amazon Kindle Reader For The iPhone & iPod Touch How To Use The Amazon Kindle Reader For The iPhone & iPod Touch Read More upgrade. My Kindle library has become as crowded and disorganized as the books on my office bookshelves. Now the Kindle app allows users to organize ebooks, PDFs and other documents into categories for easier management and viewing. Equally awesome is how your highlights and notes are presented in nice, easily viewable note cards instead of the tiny window of the previous versions. 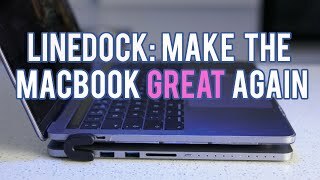 And you can open your Notebook from within any page by first tapping on the page, and then tapping on the Note icon in the bottom menu bar. There’s also a slide-out menu of key controls, e.g., Table of Contents, Search, and Popular Highlights. Springpad Springpad vs Evernote: Why Visual Orientation Matters in an Online Notebook Springpad vs Evernote: Why Visual Orientation Matters in an Online Notebook It's easy to understand why there are tons of online and software notebooks out there to choose from: mainly because there is so much information to manage, bookmark, and share in our online and mobile... Read More has been a visually oriented notes, Web page, and document storage app from the start. In its iOS 7 upgrade the app is even cleaner and faster. It sports the flat aesthetic design of iOS, and its productive features include enhanced editing tools, support for the new iOS AirDrop feature (allowing you to send Springpad items to other AirDrop users) and background syncing of user account content. There’s also a nice quick compose feature which enables you to long press on the plus “+” button on the homepage of the app to create a new note. In addition, the app provides support for the new dynamic type sizing feature that is located in Settings > General > Text Size, which enables you to adjust font size in apps. Camera+ Take Better Pictures on iPhone With Free Camera Plus Take Better Pictures on iPhone With Free Camera Plus Read More released version 4 of its advanced camera app, with a total overhaul of the UI to match the look and feel of the new iOS. New features were also added, including the ability to send photos taken by the app to other apps like Instagram, Dropbox, and Evernote. There’s also now a live exposure compensation tool, which you enable by first tapping on the camera screen and then tapping on the + button on the corner of the blue focus tool. The Exposure tool pops up and you can move it around to adjust for areas that are overly dark or bright before you take the photo. A single tap of the tool button next to the shutter button also provides you quick access to the app’s Timer, Burst mode, Stabilizer, and Square Crop features. The bookmarking app, Pocket Pocket - The Ultimate Digital Bookmarking Service Pocket - The Ultimate Digital Bookmarking Service As Bakari previously reported, the well loved Read It Later - which enabled users to save articles to read later from a bookmarklet or various apps it was integrated with - was discontinued and replaced... Read More , also received a design makeover, and now includes features to make the reading experience even better. Pocket now instantly syncs content in the background between your devices. This feature will need to be enabled inside of Options > Instant Sync. Note: I don’t see this option on the iPhone version of Pocket, but it does exist in the iPad version. In addition to the read-only presentation of articles in Pocket, it now also includes auto-fullscreen which automatically hides menu bar tools when you start scrolling in Article View. You can also switch to justified text for articles, which provides the look and feel of traditional magazine and newspaper layouts. The simple to use location app received a major redesign, for the better. 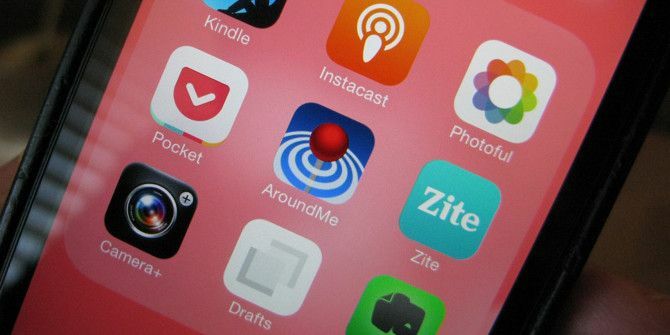 Out of all the apps reviewed in this article, AroundMe looks to be the most compatible with the new iOS 7 style. All the location categories are listed in nice size fonts, with colorful icons. My favorite podcast app Instacast Instacast for Mac Is Perfect for Discovering, Managing, and Playing Podcasts Instacast for Mac Is Perfect for Discovering, Managing, and Playing Podcasts Podcasts are a useful way to keep current on a wide range of topics and interests. The podcast manager and player in iTunes is decent, especially if you're only subscribing to a handful of podcasts,... Read More also got optimized for iOS 7 with totally new redesign. It’s even simpler to use, with the menu controls (Lists, Bookmarks, Up Next, Downloads) tucked behind the home screen. I subscribe to over a dozen podcasts, and scrolling down the list of them is very smooth and fast, like iOS 7 itself. Show notes appear quicker, and all the other tools for sharing, bookmarking, and adjusting the speed of an episode are all on the same Now Playing page at the bottom. Most importantly, the play button now appears on the Show Notes page. Photoful, which I reviewed Photoful Brings Instant Photo Management and Editing to Your iPhone Camera Roll Photoful Brings Instant Photo Management and Editing to Your iPhone Camera Roll I have written before about the frustration of managing and processing photos in the Camera Roll of the iPhone. It's difficult to manage and copy photos to albums, multiple images must be selected one at... Read More back in July, has the look and feel of the default iOS Photos app, but this third-party contender still has more features, and should fit the needs of most iPhone camera enthusiasts. In addition to categorizing your photos, Photoful enables you to share your pictures via AirDrop, Dropbox, WhatsApp, Tumblr, and Instagram as well as Facebook and Twitter. You can also create quick collages and slide shows within the app. The quick writing and note sharing app Drafts Drafts: The Ultimate Notes App For The iPhone and iPad [iOS] Drafts: The Ultimate Notes App For The iPhone and iPad [iOS] There are dozens of notes apps in the iTunes App Store, and if you’re an iPhone or iPad user, you probably have a few notes apps on your device already. Ever so often an app... Read More is cleaner and more streamlined, with even more new sharing actions to choose from, including sharing posts to Google+ and importing from Dropbox. It also contains a Notebook field in the Evernote actions, and a magic + button, which when long pressed, displays four menu items (new draft, new from clipboard, new from selection, and import from Dropbox) for creating a new note. Evernote Evernote: A Must-Have App for the iPhone and iPad [iOS] Evernote: A Must-Have App for the iPhone and iPad [iOS] In the last several months, the iOS versions of Evernote have undergone a significant overhaul of their user interfaces, closely mirroring the design and features of the counterpart web and Mac applications. We have added... Read More has received several upgrades and UI makeovers this year, but that didn’t stop the company from completely redesigning the app for iOS 7. The app now has a much cleaner and less cluttered look with a few new features like the ability to create a note, photo note, or reminder right from the home screen. Notebooks, shortcuts, and tags can easily be accessed from the left sliding panel, and the notes editor includes additional markup tools, a highlighter, and shapes and arrows for marking images and PDFs. Most thankfully, Evernote now syncs content in the background, instead of only after the app is launched. Individual notes can also be shared via Airdrop. iOS 7 is clearly the most significant redesign of the Apple mobile operating system, and I applaud developers for their hard work and creativity for optimizing their apps and redesigning them for a more modern look and feel. There are lots more apps that received major redesigns. Let us know about your favorites and what you think of iOS 7 in general. icon. It really is a wonderful app. Please check it out and make a review! Thanks, Ananmay, for letting us know about the Aviary app. I'll check it out. Michael, you might check the Apple Support site to see if others have experienced the same problem. Bakari, thanks for getting back to me about my 4s not going to landscape. I ended up correcting it myself. But the bad things I don't remember how. I was sitting in a waiting room thinking about this problem and I think I opened up the photo gallery and if I remember I touched in the top right corner and it asked me about landscape or portrait and I turned it on. If I figure out how I did this I'll leave another comment. I like ios7 a lot but it makes my 4S HOT! I googled this and it seems to have been a problem in the beta version that hasn't been fixed! I have to turn to force close apps all the time to prevent this. I installed ios 7 on a 4s and now I'm not getting a landscape look with photos or videos. I like the os7 but has a few flaws. Also the photos seemed to be put into these yearly groups and there not accurate. Help on these two problems. Michael, I read somewhere else some users were experiencing problems iOS 7 on the 4 and 4S. Hopefully Apple will issue an update to iron out the problems. How all of this seems simply stolen from Android never fails to amaze me. Who started the notion of mobile aps anyways? Was Android even invented then? To be fair, Android did not invent that. But neither did Apple. Think Windows Mobile (6 and earlier.). Yeah, sure, those Apps were not distributed in an AppStore, but they came pretty close to the apps we had before. What I noticed in the Kindle app is the left-hand flyout menu and the action bar, concepts I am pretty sure first devised by Android. Also the notification center with energy controls seems so utterly stolen. What I actually wanted to say is that Apple, who try to enforce very many claims for patent infringment is one of the companies in the biz who infringe the most. WordPress & Opentable had their recent updates following the iOS7 update. I think they look pretty clean. Melroy, I have used the iOS version of WordPress in a while. Good to hear that it's still working. Thanks for letting us know about it and OpenTable, which I assume is a recipe app?